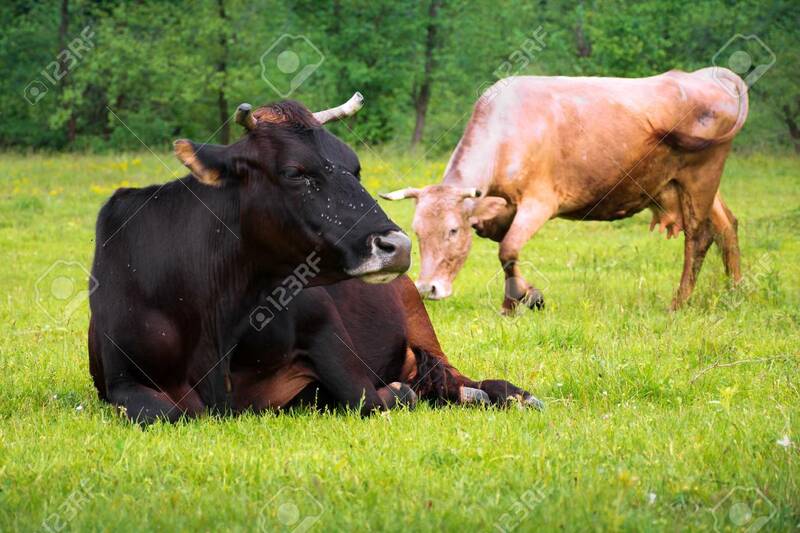 Brown Cow Laying On The Grassy Meadow Near The Forest. Flies.. Stock Photo, Picture And Royalty Free Image. Image 117160138.